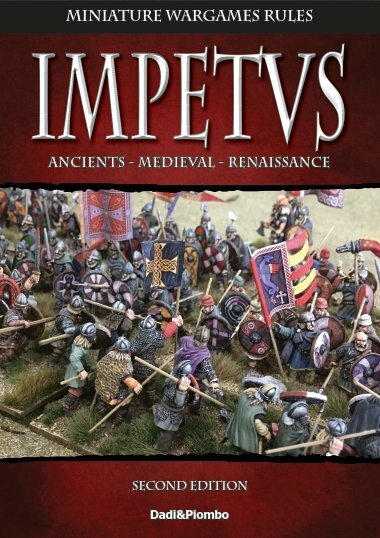 Impetus, now on its second edition, is an innovative set of wargame rules that aims to simulate battles with miniature figures in the Ancient, Medieval and Renaissance periods. The extremely flexible system allows you to recreate over 3,000 years of history, from Ancient Sumeria to the Great Italian Wars. Impetus can be played with 6mm, 10mm, 15mm, 20mm (1/72) and 25/28mm scale miniatures, and you won't even need to re-base your armies.